Each time a user signs into LogCheck or switches from one logbook to another, the app automatically pulls down any new data from the database. However, if a user remains signed into a logbook and has NOT switched to any other logbooks, the app will not pull down new data automatically. New data could be recently saved records or changes to the logbook made from the website or from another mobile device. If the logbook has not been reloaded automatically for several days or longer, a user may see a warning symbol underneath his or her name on the mobile app, as shown in the image below. In this case the user will need to do a manual Reload of the data by tapping the cloud icon at the bottom and hitting "Reload". 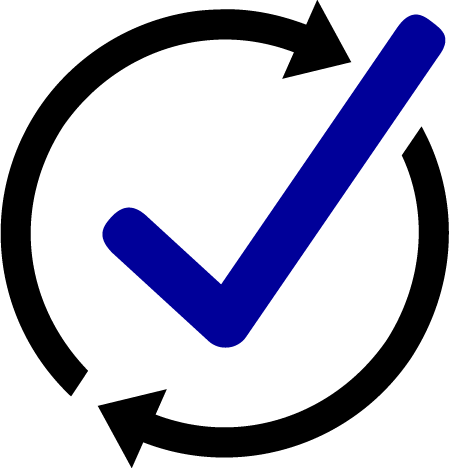 It's good practice to manually reload each time you use LogCheck unless you're signing in and out or switching logbooks frequently. This will ensure that you're always looking at the most up-to-date data on your device.